Our Blue class topic this Spring 2 has been all about plants and how they grow. We set up an experiment using cress seeds to find out the right conditions to grow cress. 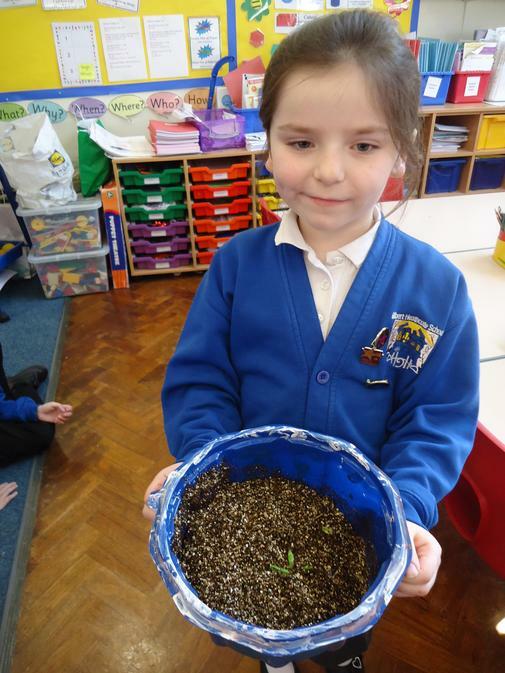 In pot one we placed seeds on a bed of cotton wool with water and positioned them on the classroom windowsill to provide light. In pot two we placed the seeds on a bed of cotton wool without water and put them on the windowsill to provide light. In pot three we placed the seeds on a bed of cotton wool with water and put them in a dark cupboard. 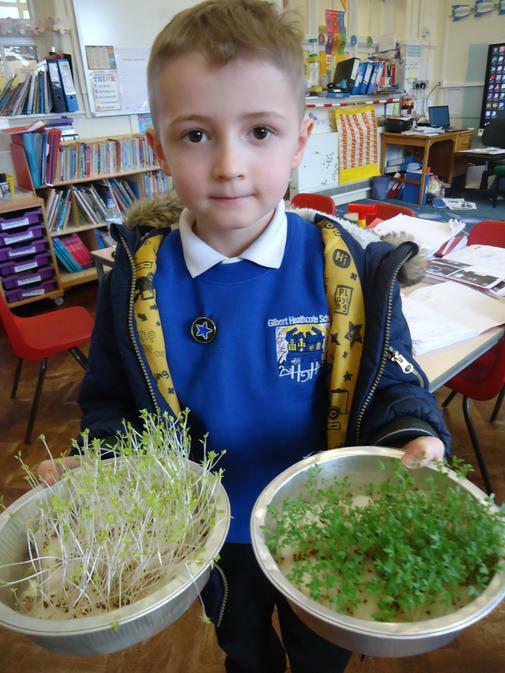 In pot four we placed cress seeds on a bed of cotton wool with water and put them in the cold fridge. Finally we predicted which seeds would grow and which would not. We recorded any germination and growth over the next seven days. We found out that the seeds that were given water and light grew the best. 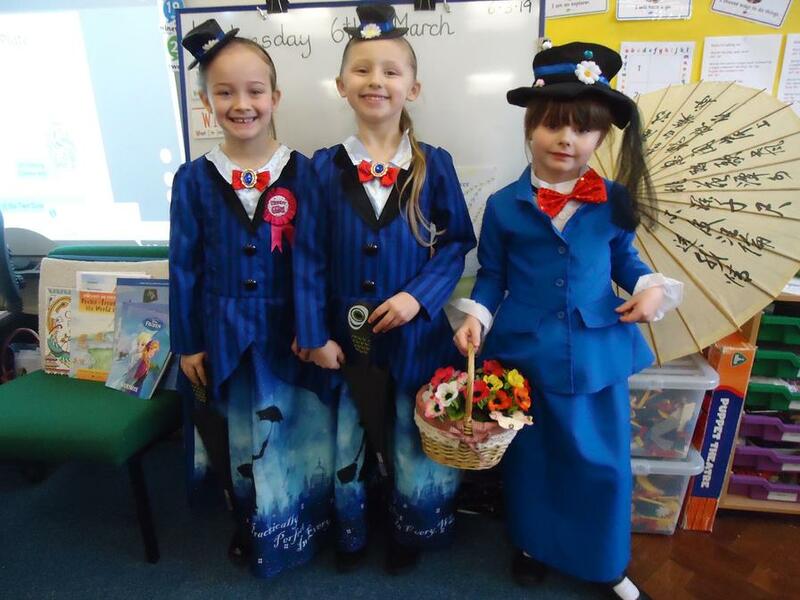 Our theme in Blue class for World Book Day was China and we featured a Chinese poem called Sampans. Mrs. Smith and Mrs. Bashford dressed up in Chinese style costumes. We enjoyed lots of activities including a super Chinese restaurant in the theme corner, complete with chopsticks. 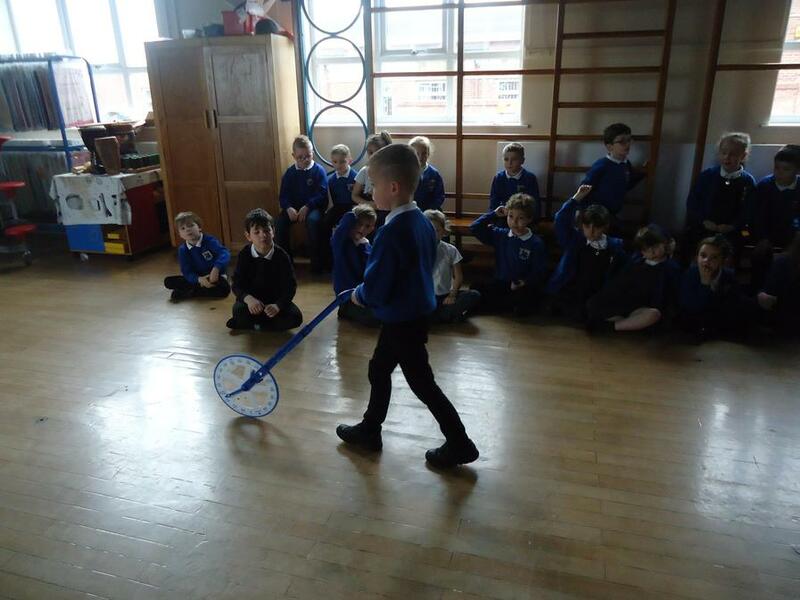 As part of our Easter celebrations we decorated hard boiled eggs and held an egg rolling contest on the playground. 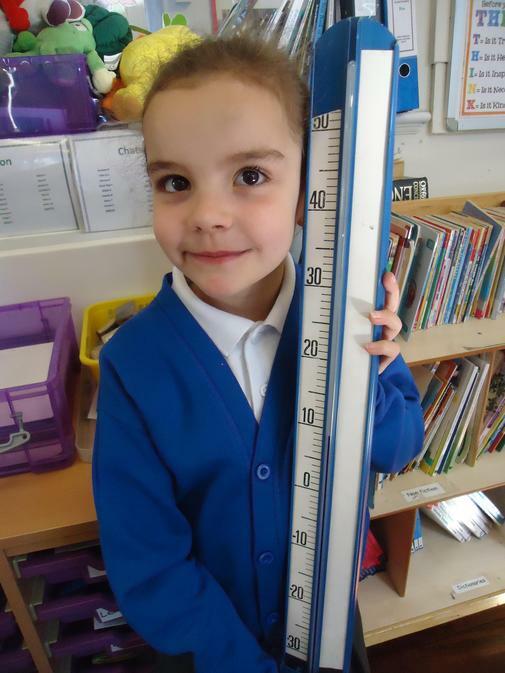 We measured the length they had rollled using a trundle wheel. 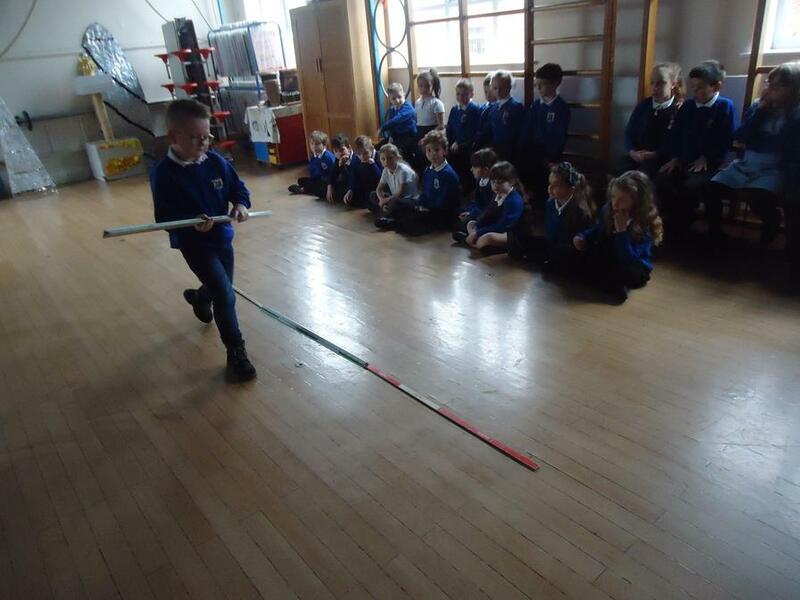 The winnner`s egg rolled 11 metres and 57cm. In Literacy we have been reading Winnie the Witch books by Valerie Thomas and Korky Paul. We have read a biography of the artist Korky Paul and in art sketched and painted fish in his style using water colours.